The life of your heating and cooling appliances can sometimes have a variety of life expectancies, we all know that the products that take care of us do not last forever and sometimes break inexplicably. Your furnace is no different. It is an important piece of equipment in your home and when it breaks it can throw an unnecessary monkey wrench into your home life. However, you can prolong the life of your furnace by performing scheduled maintenance. Keep these steps in mind when you are checking up on your furnace. First, make sure that you are working in safe conditions, if you are doing more than replacing the filter, then turn off all the power in the system so that the circuit does not break or worse. While performing maintenance, if you smell any gas immediately leave the house and call your gas company. Then let the professionals do their job and do not enter your home until they give you the okay to do so. Then, once your conditions are safe you can continue to replace the air filter and clean the furnace. The filter is in the blower door between the blower and the air duct, take it out and clean it to the best of your ability, if it is clogged beyond a simple cleaning it would be wise to replace it with a new one. Then, clean the furnace of the remaining debris that the filter did not catch, and then put everything back together again. Lastly, feel free to give us a call here at Premier Heating and Air. We provide the service of furnace repair and replacement in the Denver Front Range area. 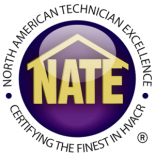 Call to schedule an inspection today!